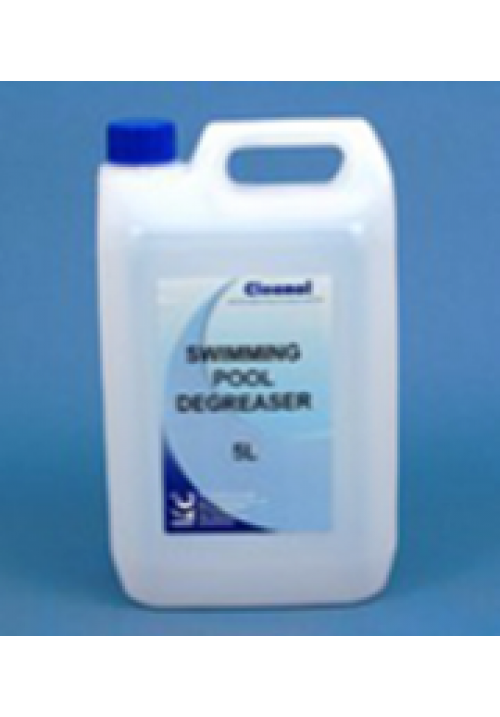 Cleenol Swimming Pool Degreaser - 5 Ltrs. Specially designed for use around swimming pools. Cleans and removes body fat in a safe and simple way. Dilute up to 20:1 with warm water (250ml per 5 litres).Apply with mop,cloth or sponge then brush well to loosen the dirt.Wipe off and rinse down well.